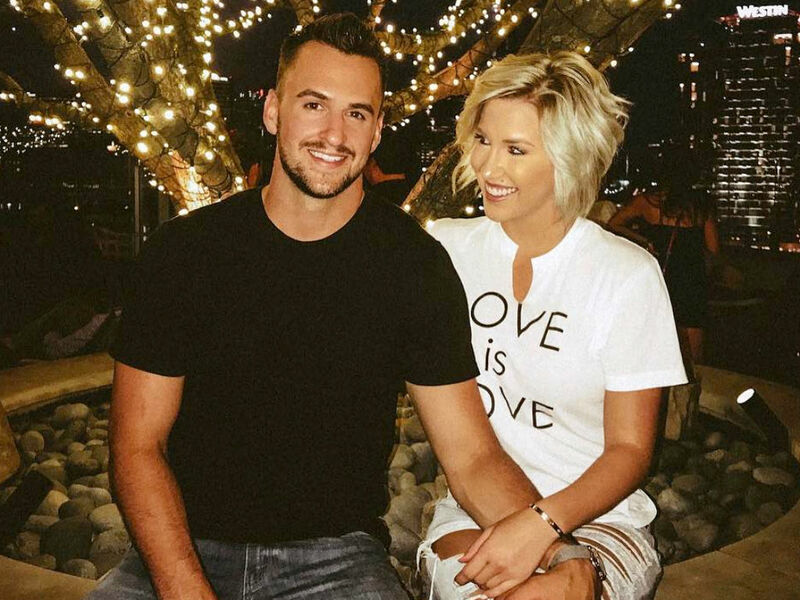 Savannah Chrisley was furious on the day her fiancé, Nic Kerdiles proposed. Despite him getting down on one knee to ask for her hand asking marriage, the day started out not so great for Chrisley. The Growing Up Chrisley star recently shared she is engaged to the pro hockey player. He popped the question on Christmas Eve in Nashville. However, leading up to the special occasion, the reality TV star was furious. “Everyone was off that day. And I had to film that day, so I was furious because it was Christmas Eve!” she began in an interview with E! News a couple of days after her engagement was announced. The pressure of having a holiday dinner, which included her soon to be in-laws, compounded with having to film was a little too much for Chrisley. “I was like, this is absolutely insane, Nic’s family’s here, our whole family’s here, and we’re filming? So, I was so mad,” Chrisley continued. As it turns out the family was initially supposed to be on a hiatus from filming for the holidays. However, when Nic revealed to Todd and his wife Julie, Savannah’s parents, he was going to pop the question on Christmas Eve, the production schedule changed. “We were not filming. We were taking our Christmas break. So, I had to go to production and say, ‘She’s getting engaged on Christmas Eve, we have to film this,” Todd explained. Obviously, Savannah had no idea the proposal was happening, so filming on Christmas Eve did not put her in the best mood. Being upset, angry and frustrated lasted throughout the day. It got worse when her mother asked her to go to the store with her at the last minute. When Julie and Savannah returned from the impromptu errand, it soon became apparent to Savannah what was going on. She walked into the backyard of her parents’ house, to find Nic standing in the middle of both families. Suddenly everything became clear to the 21-year-old, and her mood completely changed. Despite starting Christmas Eve in a furious mood, the day became one of the most important days of Savannah Chrisley’s life. Since she was so mad, she was totally surprised when her boyfriend Nic Kerdiles popped the question. It sounds pretty darn perfect and a good trial run for her wedding day, which will also be full of missed emotions.